The Daviess County Detention Center is a correctional facility with an average daily population of over 700 county, federal and state inmates. 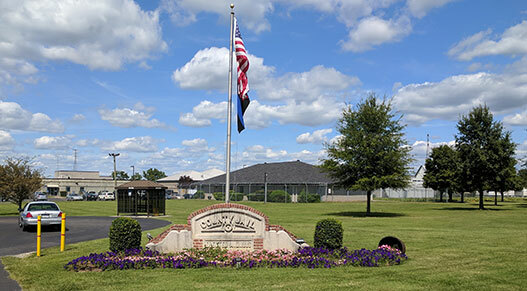 The facility offers available alternatives to incarceration; including Pretrial Services, Home Detention and Work Release, as well as traditional incarcerations and imprisonment for offenders either awaiting trial or sentenced to the Daviess County Detention Center. The 24 hour facility is staffed by approximately eight-five professionally trained deputies to secure the facility while also ensuring the supervision, medical care, visitation, transportation, feeding, and other duties related to the inmates. Along with routine responsibilities, the agency has a canine team and Special Response Team. 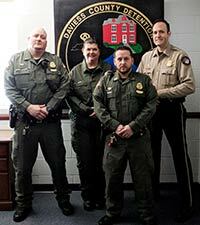 The center offers the Substance Abuse Program to male state inmates, along with other rehabilitation opportunities. The Substance Abuse Program was developed in Daviess County and has grown throughout the state. Our counselors and staff work to give the participants the tools they need to manage their addiction, and improve their decision making process in other aspects of their lives. The complex consists of several acres and buildings, most of which is surrounded by fencing and Constantine wire. The Jailer and his staff are responsible for managing all aspects of the operation to include maintenance and repairs. In an effort to develop rehabilitation, the staff supervises inmates that work in the community performing tasks approved by the Department of Corrections. Along with our great staff, the Daviess County Detention Center has many community volunteers that make many of the religious and rehabilitation programs possible for the inmates. We are always grateful for the dedication and support of our volunteers.